Last week, US Fish and Wildlife Service (USFWS) announced that they are considering listing polar bears (Ursus maritimus) as threatened under the Endangered Species Act. The department argues that the bears are threatened by declining sea ice, an impact of accelerated climate change in the Arctic. While their report has received mostly positive press, I have come across a common criticism that I would like to address. Critics claim that polar bears are not threatened by global warming because their current population (20-25000 spread over 19 subpopulations) is far greater than their ‘historic’ population (~5000 in the 1950’s). How could polar bears be threatened? Assuming both population estimates are correct (I believe they are), does this argument hold any water? Of course not. The intellectual dishonesty or sheer stupidity of anyone who maintains this reasoning is astounding. Polar bears populations in the 1950’s were driven to low levels by hunting, which has been banned in the US (with the exception of native peoples*), allowing the population to rebound. However, in a species that is ~200,000 years old, the population dynamics of the past 50 years can hardly be considered historic. A proper benchmark is not the population of the 1950’s, but rather 1950 BCE! Scientists may never know the historic population of polar bears before human intrusion, but that is actually irrelevant to the current debate. The USFWS contends that the polar bear is threatened today because global warming is causing arctic sea ice to melt, a demonstrable fact. They buttress their argument with data from polar bear surveys indicating that adult weight and cub survivorship have decreased concurrently with declining sea ice. Whether there were five thousand, five, or five million polar bears in 1950, that global warming is threatening polar bears today might still be true, as I believe it is. To drive this point home (and get in a jab at Fox News), let me draw an analogy. 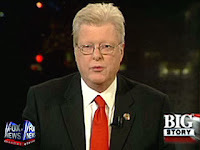 I originally came across the anti-polar bear argument while watching The Big Story on Fox News, hosted by the insipid John Gibson. John Gibson has also written a book called The War on Christmas, which I haven’t read, that argues secular liberals are trying to take religion out of the holidays. By Gibson’s own logic, I could argue that the number of Christians celebrating Christmas in America is higher today than it was in the 1950’s. How could it possibly be the case that secularists are threatening Christmas? As with Gibson’s own argument, mine is a complete non sequitur, as the number of Christians in the 1950’s has absolutely nothing to do with the current “war” on Christmas. John Gibson and his ilk are ideologues who realize that the average American, to whom they have no problem pandering their own brand of emotion laden nonsense, may see the plight of the charismatic polar bear as a convincing reason to take action on global climate change. I personally find many other cases than the polar bear more compelling reasons to mitigate climate change, but far be it for me to tell people how they should value nature. In any case, I can sympathize with the polar bears right now. Europe is experiencing an unusually warm winter, which has caused half of my study plants to begin flowering in January. Instead of a leisurely winter work schedule, I am outside from dawn until dusk bent over tiny plants. Maybe this would make for a good human-interest story on the adverse affects of climate change. Any takers? * Native peoples may in fact not being doing enough polar bear hunting to cause any harm, but I find this to be an unwarranted exception in name of cultural relativism. As with female genial mutilation, there are some cultural practices that are simply beyond the pale of contemporary morality, and I find hunting polar bears to be one of them. As we ask the rest of our citizens to desist from hunting threatened species, so should we of native peoples. 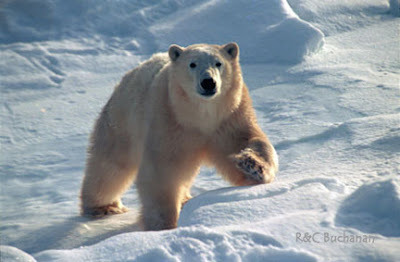 OK, the polar bear population has gone from 5,000 to 25,000 in the past 50+ years. The most important question NOT asked is this: how many bears should there be? Mathematicly this means the population doubles every 22+ years. At this rate, by 2025 there should be approximately 50,000 bears. How many bears is "not enough" or "too many"? As they progressed in population from 5,000 to 10,000 to 15,000 to 20,000 and now at 25,000 the "so called" experts remain silent. Except to say "well now they are endangered"? Is this a joke? Well, at some point there will be too many. And I doubt, very seriously, when that day comes, they will blame everything and everybody for their demise, except their own mismanagement.